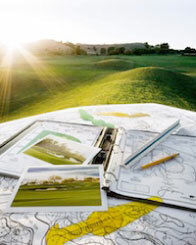 Southwest Greens have an exciting partnership with Nicklaus Design, the world-leading golf design company. Not only providing their prestigious design 'know-how' but now boasting a premier turf range, exclusively manufactured for the SWG by Nicklaus Design brand. Southwest Greens has entered into an agreement with Nicklaus Design to offer our clients a premium line of putting greens. This unprecedented partnership with the recognised leader in golf course design underlines our dedication to perfection and brings a level of sophistication and expertise which is unmatched in the synthetic turf industry. Nicklaus Design, has over 270 courses open for play in 27 countries and 36 states, 36 of which have been ranked in various Top-100 lists. Nicklaus Design has firmly established itself as the largest and most active golf course design firm in the world. Nicklaus Design's golf course design expertise can now be utilised in the synthetic turf industry, exclusively through a partnership with Southwest Greens. Through this affiliation, Southwest Greens' clients can access Nicklaus Design's superior knowledge and be assured that their custom-designed green will be of the highest quality. 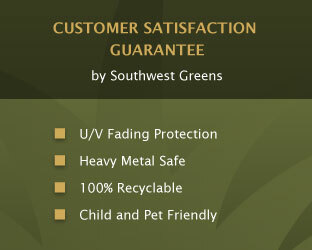 "Southwest Greens by Nicklaus Design" represents the very best in design and installation expertise available in the golf segment of the synthetic turf industry. 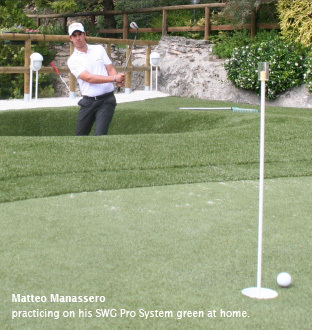 Through this unique partnership, residential clients will have the opportunity to have their putting green designed using Nicklaus Design's systems and installed using a specially trained and certified Southwest Greens installation team. Aimed to satisfy our most astute and demanding clients, these premium putting surfaces will set the highest industry standard. 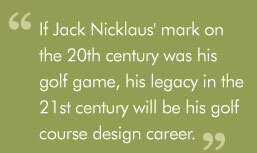 Professional designs incorporating the Nicklaus Design technologies. specially trained to Nicklaus Design standards. Nicklaus Design logo pin flags. Exclusive range of Nicklaus Design turfs.